Are you becoming more self-empowered and self-aware? Do you feel the need to expand your learning, to go inward and know yourself? In the knowing and the growing we empower ourselves. Join Deidre on her Blogtalk Radio Show as she explore the magic, myths and mysteries of today's New Age - the Age of Aquarius - through the Zeropoint ... Is time speeding up? This show will shed amazing Light on your Spiritual Path ... guest speakers, authors, artists, musicians, healers, intuitives and mediums will enLighten and enCourage you along the way. We welcome your calls, emails and chats. Aho and Namaste! LAST DAY OF THE MAYAN CALENDAR - Airdate: 10-28-11 - WHAT NOW?! Amazingly we are here. The END of the Mayan Calendar ... you thought it was Dec. 21, 2012? .... Wrong. IT'S TODAY! What does it mean? Are you prepared? What can you do to be as fully prepared? Join your show host, Deidre Madsen, as she shares her suggestions to support you BODY, MIND AND SPIRIT during this massive planetary change. With love! Call in with your questions. Lots of exciting shifts for WHAT TO EXPECT FROM NOW ON! INTERVIEW: GHOSTLY PORTAL - PARANORMAL INVESTIGATION IN AZ - Airdate: 1-31-11 - Come join your show host, Deidre Madsen, with special guests Steven and Raven of Ghostly Portals Paranormal Investigation as they share stories, antedotes, of hauntings and ghostly encounters in and around Arizona, ... and how to's to not only understanding the phenomenon of the spirit world but how to identify, interact, and possibly assist these spirit beings and entities move onto greener pastures. This show is extended to 1.5 hours. HAPPILY EVER AFTER ... BEYOND THE CINDERELLA CASTLE Airdate: 10-25-10 How to get from inner joy to outer joy. More support to help you if you are tired of 'trying to fix your life's problems and wish you could wave a magic wand and life would transform into your HAPPILY EVER AFTER. Join your show host, Deidre Madsen, and take just one hour of your life to listen to this groundbreaking healing modality. Controversial gorilla depth imagery will TAKE YOU THERE. Time for a phat injection of some major reprogramming / system upgrade for the body/mind/spirit. 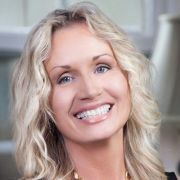 MAYAN CALENDAR 2012 ... WHAT'S COMING, HOW TO PREPARE Airdate: 7-12-10 Join Deidre Madsen your show host from Sedona, AZ as she journeys into the near future of 2012 and the implications of the upcoming energy shifts in consciousness. What can you do to prepare? What does the whole 2012 issue look like? How are we going to be affected? Call in with your questions (646) 915-8713. Chat room will be open. SHEDDING TOXIC WASTE FROM YOUR WAIST Airdate: 6-28-10 Interpreting our world, our mirror. If everything is my mirror, how do I interpret it and what can I do about it? Join Deidre Madsen, your show host at Lightworkers Corner Radio, for another informative and life-changing show. "In order to heal, we should strive for compassionate hearts and learn forgiveness?" Are you struggling to lose weight? Yes? No? (I know this may sound a bit "off topic" but indulge me for a moment. ) Could your weight be on your shoulders or a noose around your neck? Well, I have been shedding the same ten pounds for years now and without much success ... until now. I began to wonder if maybe it is more than physical ... maybe it's etheric or mental or astral weight. Granted, ten pounds is not much in the grand scheme of things but those last ten pounds have become quite an ordeal. Part of losing this weight is discovering why I want to lose it in the first place. And by the way, what on earth does this have to do with ascension? Everything ties in together. Recommended listening: Last week's show "Happily Ever After" to help prepare you for this show. Listerners call in with questions, chat board will be open. SPECIAL 1 1/2 hour. INTERVIEW: GRANDMASTER CARY-HIROYUKI TAGAWA'S CHUU SHIN BREATHWORK ... PLUS, KING/QUEEN, LOVER, WARRIOR & MAGICIAN Airdate: 3-1-10 Are you asking this question to yourself: Why is this happening ... again?! And what can I do about it? If so, please join your host Deidre Madsen with her Special Guest Cary-Hiroyuki Tagawa. You may recognize him from his extensive Hollywood filmography, what you may be unaware of is that he is the founder of his transformative and healing Breathwork Chuu Shin - Martial Alchemy. Mr. Tagawa will explore the deeper mysteries behind the alchemical breath and how it brings us back into body, mind and spirit balance. You are in for a riveting and incredible hour. Deidre will also go deeper into the archetypal structures of the interior four - the Fantastic Four - whom which we interact on a daily moment-to-moment basis. If you have felt disempowered, lost, unguided, confused or betrayed on some level, you will benefit from this show because we not only help you identify the inner archetypes using the sacred Native American Medicine Wheel / Hoop of Life teachings but we incorporate the Fantastic Four Archetypes into the equation - you will definitely come away with a far greater understanding of WHO IS SITTING ON YOUR THRONE and what you can do about it. Listeners are invited to call in with questions, stories and messages for other listeners of their experiences in the realm of self-discovery. INTERVIEW: MICHELLE MALATSKY'S AUTHENTIC YOU! FROM DEPRESSION TO CORRECTION ... TO PERFECTION! Airdate: 12-7-09 Struggling with Who You Are in your world??? We are on a fast track to 2012 ... time to get your ducks in a row. Join your show host, Deidre Madsen, for a delightful and highly informative show with special guest, Michelle Malatskey of Newport Beach, California. Michele Malatskey is married and a mother of 3 daughters. She is a pharmacist by profession, but while studying what drugs actually do in the body, turned towards 'the power of the mind'. One of the courses she studied while studying pharmacy was given by a very enlightened, spiritual lecturer, who actually opened the door wider into the 'world of spirituality'. Since then, she has been on a spiritual path and just loving it. So much so, that she is in the process of completing a book on "how to let go in order to find your true happiness as well as the importance of being your true self". While writing the book, she also wrote a book of poems, which are also extremely enlightening on what she believes is going on in the world as we approach 2012. Namely, that what we are going through is not a "depression", but rather a "correction" so that we can learn to get rid of all relationships in our lives that 'lack respect' and are, for lack of a better word "fake and not real". Michele believes that we are going into a golden age that will be filled with sincerity, love and genuineness. If you are confusied about your life and identity, Michelle is quite intuitive and offers guidance and support for others on their seeking spiritual path. 2012 THE MOVIE, WHAT DOES IT MEAN ... IF ANYTHING? COSMIC WEATHER REPORT Airdate: 11-9-09 Join your show host, Deidre Madsen, for updates on the Cosmic Climate Weather Report as it relates to our ascension and 2012; the upcoming movie 2012 and the implications of same. Plus magic realism, quantum everything and earth changes occurring even as we speak as we have just entered the 2nd half of the 6th Mayan Day, the night which lasts til early November 2010. Our special guests will be returning guests Linda Evangeline Sayre, healer, speaker and entrepreneur (who will also share about her upcoming seminar) and our beloved Michael Madsen, healer, teacher and warrior brother (who will also add more about his upcoming warrior radio show) to round out our guest list. We will provide an update on last week’s Amber Alert. And mini-readings. Join us for a fast paced hour of fun, fact and fabulousness! RAISING THE WHITE FLAG OF SURRENDER. SECOND'S ANYONE? IS THAT ALL YOU GOT? Airdate: 8-10-09 One Week Later ... checking in from Full Moon Lunar Eclipse Aug 7 Planet Alert: Raising the White Flag of Surrender! Second's anyone? A SPECIAL 1.5 HOUR SHOW. If you have had a month of difficulties and struggles like never before, you do NOT want to miss this show. This week we will compare notes and speak to the huge ratcheting up of the energies from these last 30 days. There is a direct correlation between the energy system of July’s Solstice and the three eclipses … being the model times TEN for the 2012 portal. Join us for a round table discussion with this week’s special guests, Sedona’s own Michael Madsen and Dianna Phillips all the way from the Heartland of America. The white flag of surrender is a huge clue on what to expect during this special show – including the what, where, how and why of it all as the Iron Age ends and the Golden Age is ushered in. SHOW LINEUP: Your host, Deidre Madsen’s spirited round-table discussion format with special guests fills the first hour, followed by mini-readings and life coaching insights Q&A, lastly Michael will take us on a Healing Awakening Meditation Journey that will round out this info-packed show.